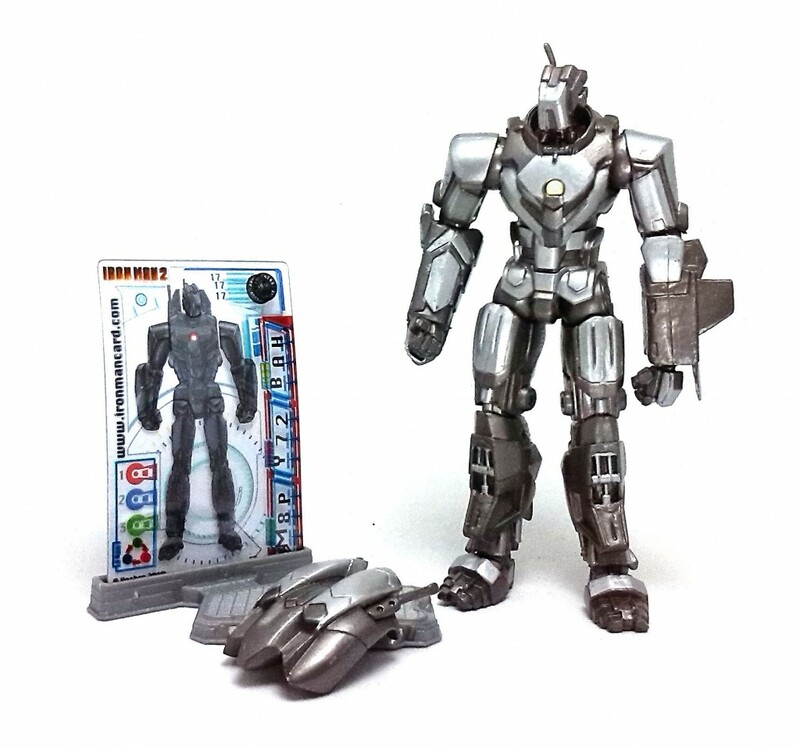 The Hammer Industries’ Aerial Assault Drone was released in action figure form in Hasbro’s Iron Man 2 line, a few years ago. It was one of the hardest figures to obtain due to several factors that plagued the line from the start, like irregular distribution and dubious case assortments. And that was a shame, because the Aerial Drone was one of the very few figures in the line that were not Iron Man repaints. The sculpt is very angular, and I’m going to say that it is a faithful reproduction of the models seen in the movie. 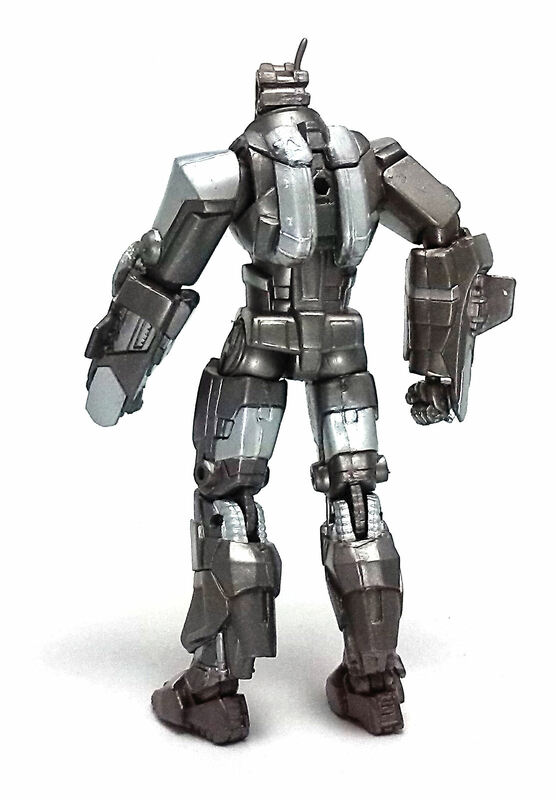 The Drone frame is noticeably larger and heavier than the normal sized armors, with the characteristic small head that reinforces the notion that these are not suits to be worn by people, but remotely operated machines. The forearm pieces are rather bulky and have small fins on them, probably to help with the aerodynamics. The Drone comes with a detachable jet pack with a couple of what appear to be machine gun barrels protruding from the top. For some reason, several joints on my figure seemed to be inexplicably stuck when I pulled it out of the package. First I tried to froze it for a few minutes, but that didn’t seem to work, so I ended up dipping it into boiling water to try and remove the limbs from their sockets in order to free them. However, the ankle joints were extremely loose even before I started with the freeze/boil procedures. The Drone can stand unassisted, but it is always something of a balancing act to find a way to keep him up in any pose other than standing straight. The paintjob is good, although there are numerous tiny chips all over the Drone’s frame. 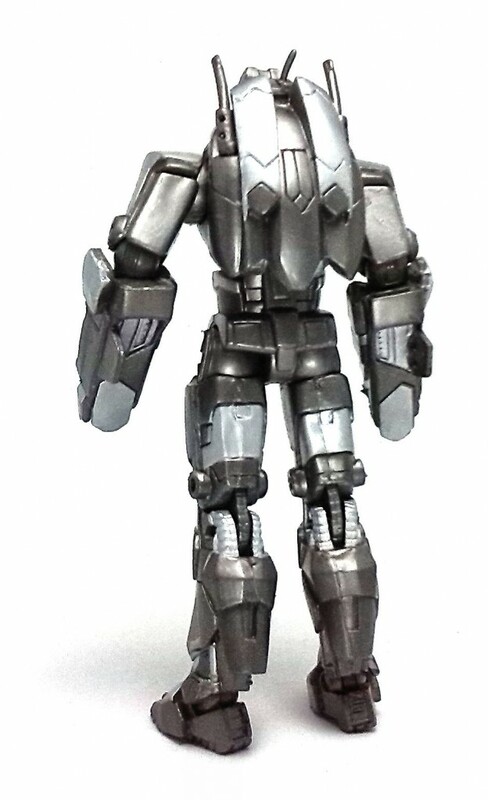 The figure was cast in silvery gray plastic, with selected panels painted either bright silver or gunmetal gray. The overall look is very USAF to me, but the Aerial Assault Drone lacks any marking other than a painted-on chest reactor. 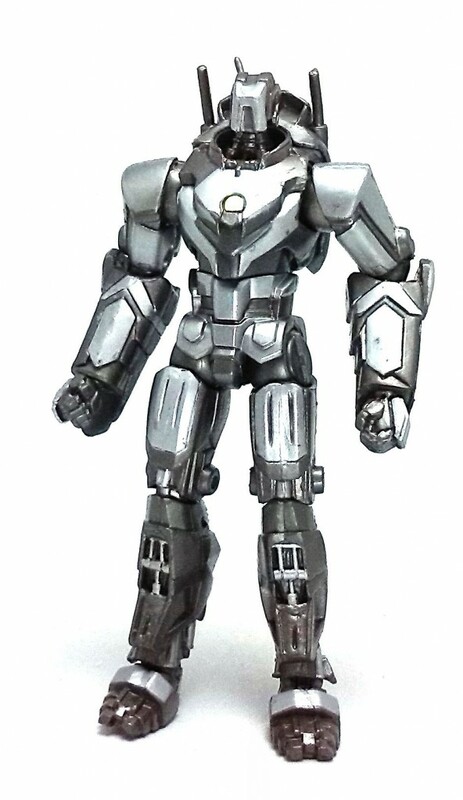 Since this Drone was actually released within the Iron Man 2 line, it comes with the customary plastic display base and the trio of cards that allow mixing and matching pieces using the cards from other figures in this same line. Overall, the Aerial Assault Drone is a pretty neat figure. 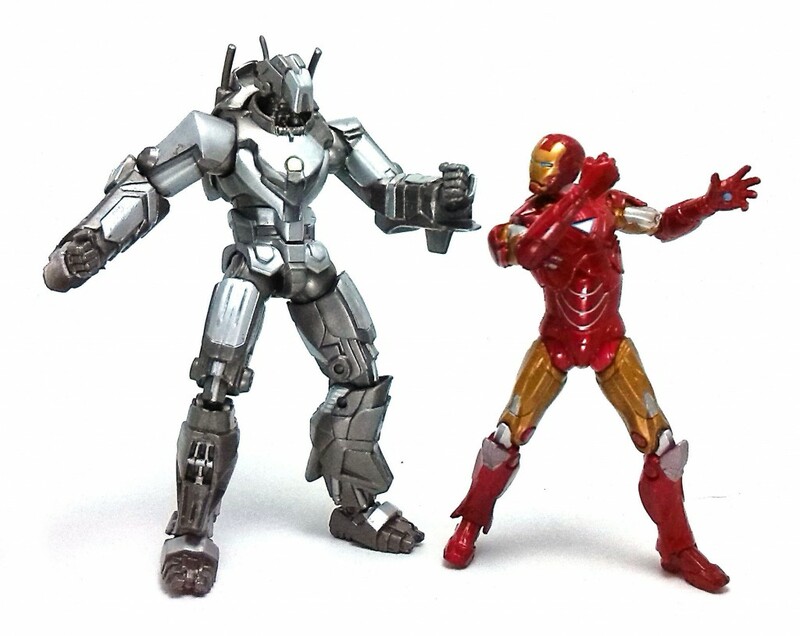 It towers above most of the other Iron Man 2 figures and is fun to mess around with, despite the loose ankle joints. 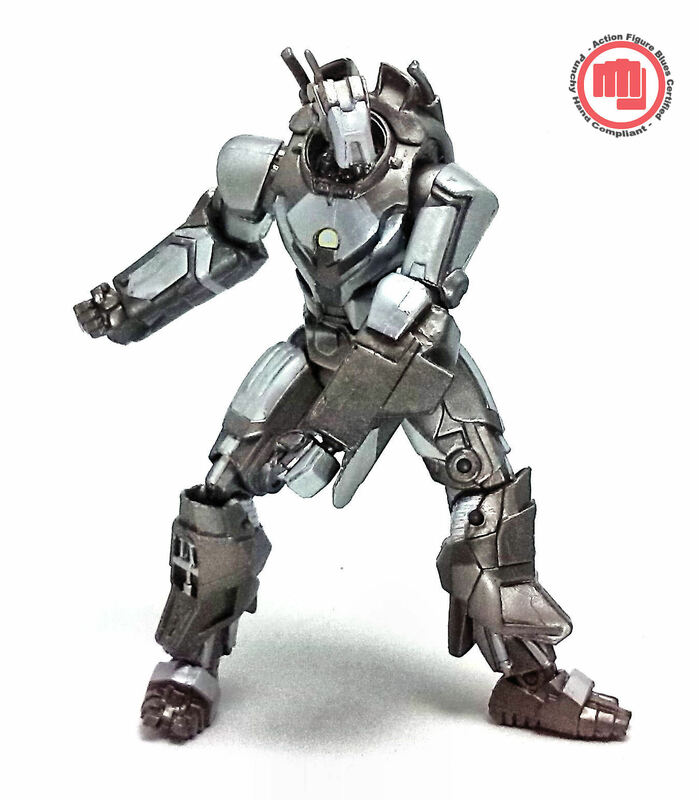 I really wish this figure would have been available in larger quantities. It would have an small army builder for me.